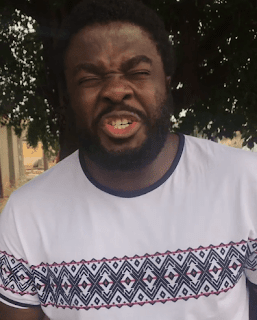 Unlabelled NEWS : Aremu Afolayan – “Aiye Deziani koni daaah” rained curses on former petroleum minister, Diezani Alison-Madueke. NEWS : Aremu Afolayan – “Aiye Deziani koni daaah” rained curses on former petroleum minister, Diezani Alison-Madueke. Gabriel afolayans brother Aremu afolayan went over the socials for playing curses on Diezani alleged theft. Aremu afolayan turned mathematician over night, interesting. Nollywood actor and filmmaker, Aremu Afolayan, rained curses on former petroleum minister, Diezani Alison-Madueke. $90 billion, over N27 Trillion, was recovered from Diezani recently. The movie star Aremu Afolayan spared no words on the former Minister of Petroleum. Meanwhile, the United States has revealed damning details of how former Minister of Petroleum Resources, Diezani Alison-Madueke, allegedly laundered $144 million. Diezani Alison-Madueke lavished millions of her illicit wealth on landed properties, furniture and artworks according to US authorities.